In the past five years, Champion Bus has seen a brilliant turnaround, from being pummeled by imports, the great recession and a devastating fire, to emerging as one of the bus industry’s top performers and most respected brands. 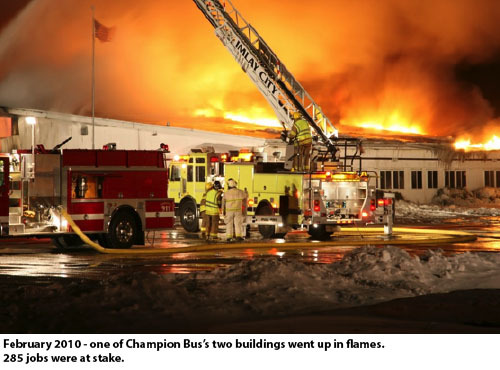 In 2009, the atmosphere at Champion Bus could be described as “tense”, with management in a “determined to survive” mode as a result of the market crash and its effect on the economy. The company was also battling imports from China and Turkey, both of which could offer low cost competition to Champion’s smaller airport-transport busses. Welcoming assistance from the Great Lakes Trade Adjustment Assistance Center (GLTAAC) was among the “new initiatives” Resnik implemented in 2009. He also recruited help in the human resources area by hiring a GM veteran, Bill Sprague. Next, with the help of GLTAAC co-funding, he launched lean manufacturing projects targeted at improving throughput and increasing employee involvement and understanding of their role in process improvement. Then, on Sunday, February 14, 2010, a huge fire broke out at night, destroying half of the plant and about 30 work-in-process bus chassis. Fortunately, no one was hurt, but many who saw the fire and the debris thought Imlay City had certainly just lost about 300 jobs. The facility, built in the 1970s, had no sprinkler system or water tower. Water was, in part, pumped from a nearby pond to put out the flames. The building did contain hybrid buses, acetylene, plywood, rubber matting, tires and other combustible materials. Numerous interior explosions could be heard from nearly a mile away while 10 fire departments combined efforts for 17 hours to control the blaze. The saying, “out of adversity comes opportunity” is particularly appropriate in Champion’s case. A day after the fire, no one would have bet that the company’s next completed bus would be rolling off the line only three weeks later. That is what the team at Champion accomplished, though. The disaster was a catalyst that brought out everyone’s finest efforts to cooperate and work efficiently. 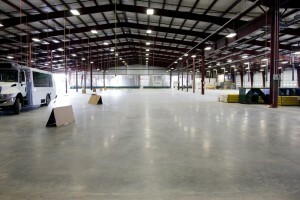 By October 2010, production was underway in a completely re-built building. First “post-fire” bus comes off the line, three weeks after the disaster. GLTAAC co-funding helped the company work on important areas that are not covered by insurance: consulting to streamline the bill of materials process and paying for a “trial period” for a recent graduate to work on marketing. Meanwhile, the company acquired a new product and a new brand, the Federal bus line. Resnik lined up GLTAAC co-funding to help pay for the services of an expert sales representative to help them sell their new product to a new and unfamiliar set of buyers in the industry. Champion’s new 90,000 sq. 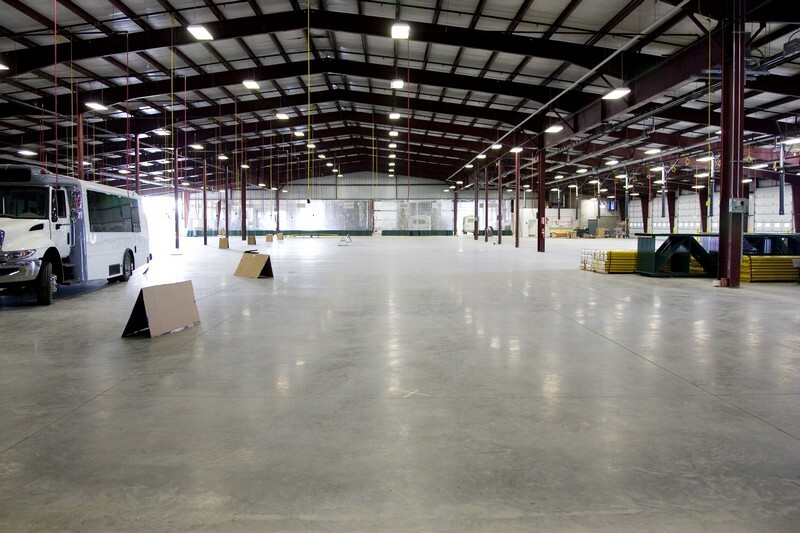 ft. facility, completed in Oct. 2010 — with sprinkler systems. 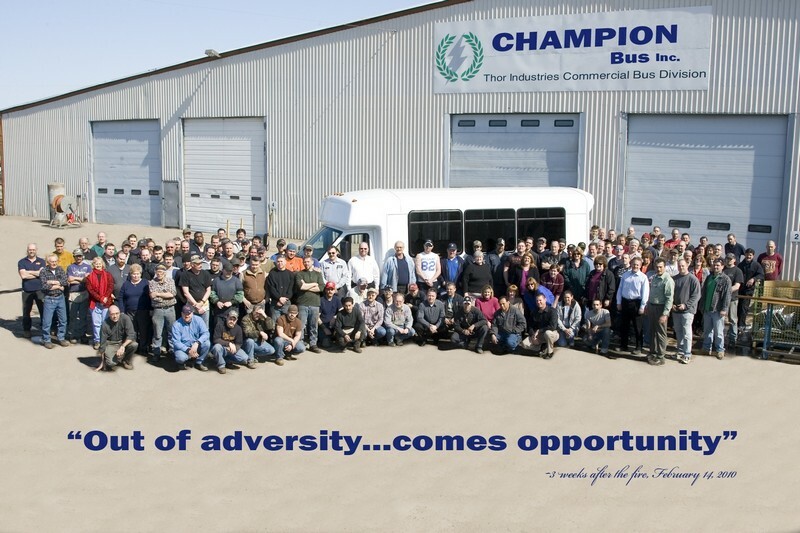 Sales went well, and in 2013, Champion Bus was bought by Allied Specialty Vehicles (ASV) based in Orlando, Florida. ASV has encouraged Champion’s marketing efforts, embracing the initiatives funded by GLTAAC this year to create new websites for both of Champion’s brands (Champion Bus® and Federal Coach®).